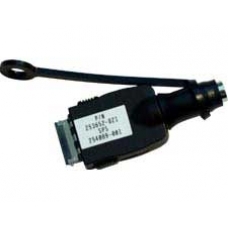 FA133A HP iPAQ power supply adapter AC connector allows you to plug the standard AC barrel adaptor directly into the iPAQ 22 pin sync connector socket and charge your battery without the need for the cradle. * HP Part No. FA133A. * SPS Number : 383747-001.